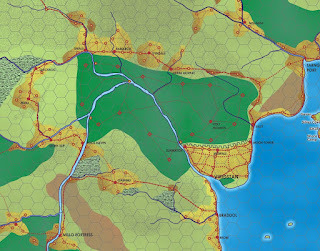 A blog on 40 years of gaming and Sandbox Fantasy. 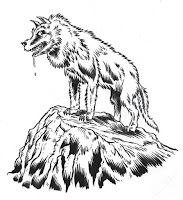 Last post I mentioned how I decided to complicate the Scourge of the Demon Wolf adventure. To do this, I decided to introduce a red herring, some bandits who were faking wolf attacks. 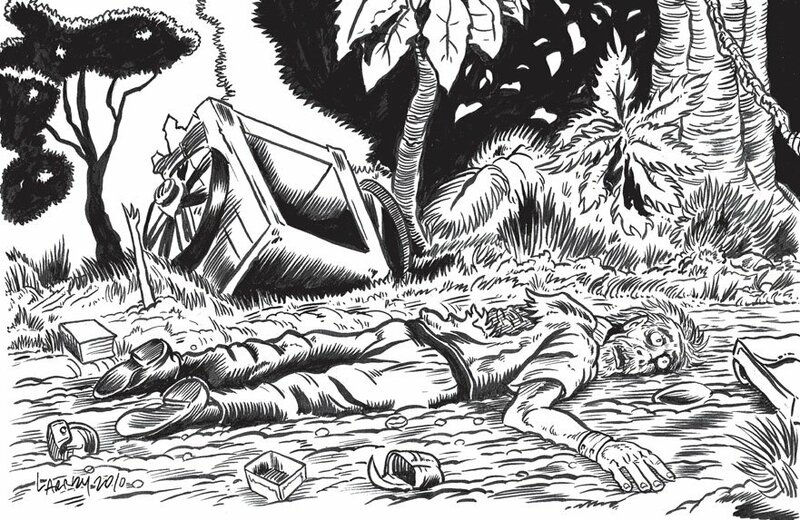 To tie them into the situation, I added the body of a local tinker that they robbed and killed. Then the bandits made it to look like a wolf attack. Then I asked myself would there be anybody else involved with the bandits? Having one of the Beggars clans in the area fencing the bandit's goods would be a good addition. To further tie this group in I decided that the Beggar Clan chief's son was killed by the Demon Wolf. Plus they have more information about the the mage's conclave than what the villagers know. From stuff I established in previous campaigns I also noted that the villagers would not be on friendly terms with the Beggar Clan adding another complication to the situation. That where I stopped, I learned that once you get up to four or five distinct aspects to a situation the players get confused. Now I was ready to plant rumors about wolf attacks. The day of the game arrived and sure enough the players went down the road. They stopped at a crossroads inn and heard about the attacks and decided to investigate. It wasn't the only rumor they heard but it was the one closest in geography. When faced with multiple interesting choices players are more apt to pick something that closer than further away. It not an absolute however. They could and will opt to pursue something further away if think that would be better for their immediate goal. I don't remember much about that first adventure other than the fact they encountered every group involved. That they went from the summoning site to the conclave, talked to the mage at which point the final series of events started happening. The thing to remember I did not write this in any amount of detail. I had two pages of note which you can download from here. 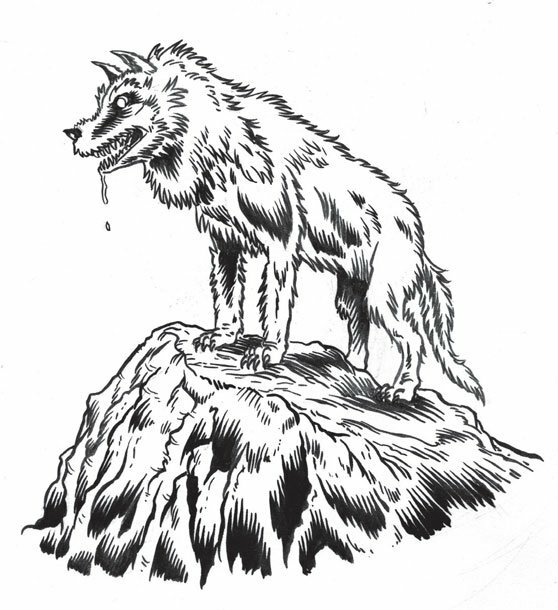 And some paper character sheets with the NPCs and the Demon Wolf written up. What filled in the details was my conception of what life in a medieval village was like, life in a bandit camp, etc, etc. This is part of what I call my bag of stuff. 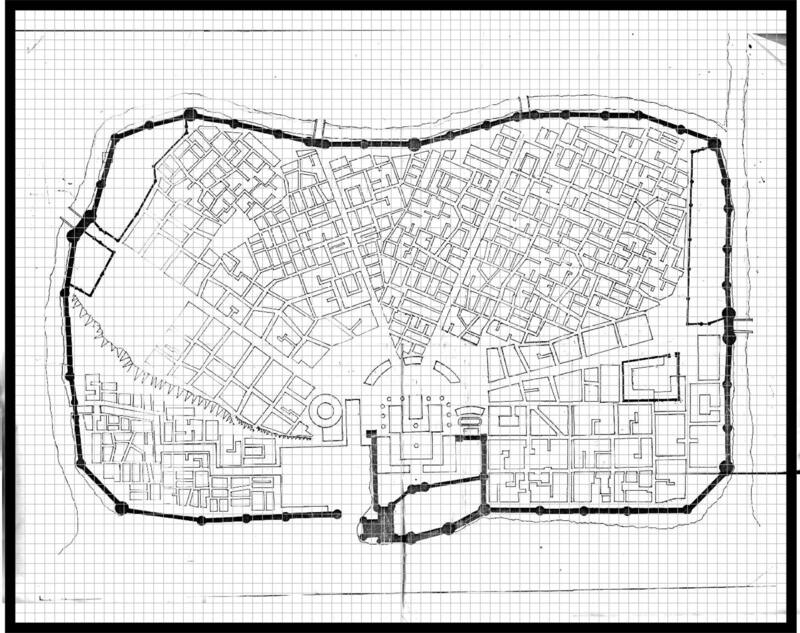 Nothing in there is as detailed as you find in a published work but I internalized it so I can pull stuff out of my memory and combine it with other stuff to create interesting situations for my players. Finally it has the virtue of being able to be done on the fly. Though out the history of the tabletop roleplaying the myth and legends of Japan has fascinated many hobbyists. For many there was a strong desire to player Samauri, and Ninjas. Have one's character wield a katana or throwing shurikens. Especially when I stated out in the late 70s and early 80s, I had numerous players wanting to play these types of character in my Majestic Wilderlands. So I carved a section called it the Karian Islands. Flash forward 30 years, my friend +Dwayne Gillingham is running a campaign playtesting his RPG called the Crit System. He using his own take on the Majestic Wilderlands as the setting. As it so happens the campaign has taken a detour to the Karian Islands. So I thought to myself, I better make a map for it. 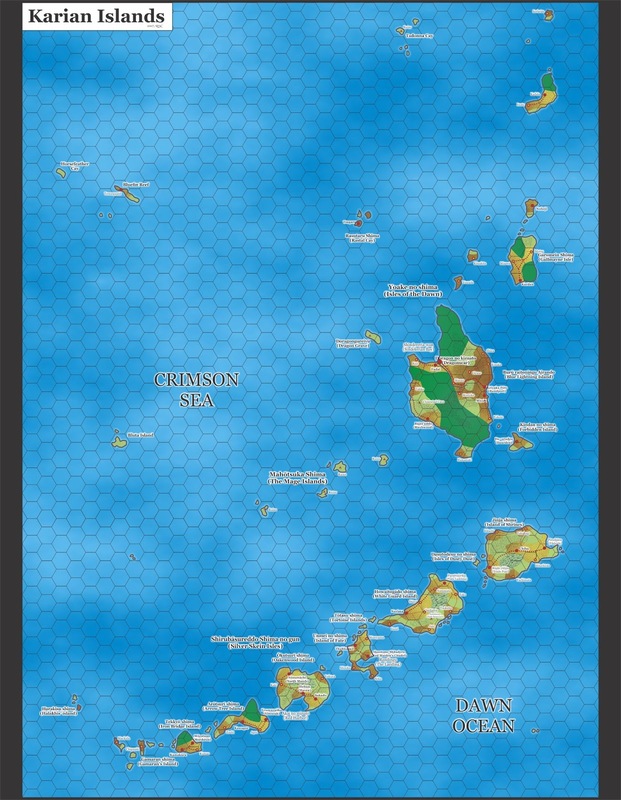 Many characters were from there but I never had a campaign where the PCs visited it. So I looked at my notes and overview maps and started drawing. 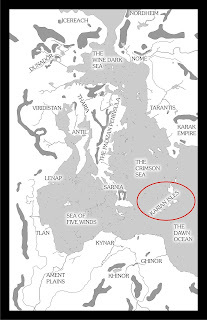 Comprised of two archipelagos; the Silver Skein Islands to the south and the Isles of Dawn to the north. These islands were originally occupied by the Karians, humans with a culture similar to the early Japanese. They were contacted and incorporated into the Ghinorian Empire early in its expansion. When the Empire collapsed one of the last pretenders to the title of the Imperial Prince of Ghinor fled to the islands to regroup. He married a local princess to win the loyalty of the Karian nobles. He left and was killed while trying to reclaim the throne. The princess was pregnant and gave birth to a son who was proclaimed as the new Imperial Prince. Legends grew of the last pretender and some claimed he was the divine son of Mitra. His Karian successors adopted the legend as their own and assumed not only political leadership of the islands but religous leadership as well. Over the past thousand years their culture has grown more inward. They have developed an elaborate code of honor and social system. 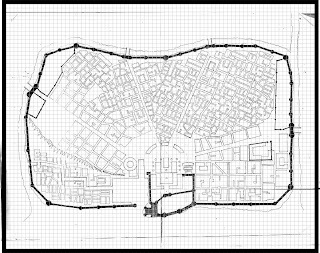 Finally the main map itself. Remember each hex is 5 leagues with a league taking 1 hour to walk. A ship with average winds can make about 10 leagues (2 hexes) every four hours. Or 60 leagues (12 hexes) a day. 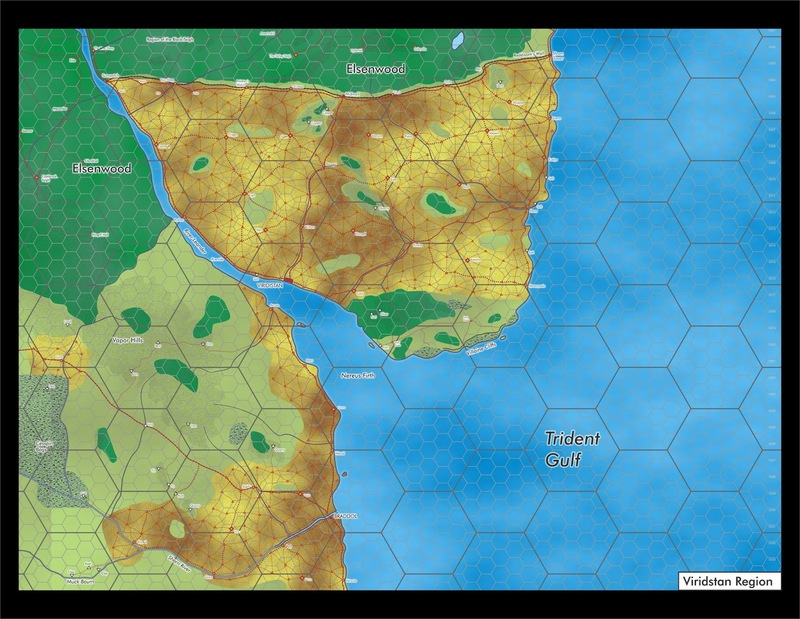 Those of you with the Judges Guild will notices a lot of differences some due to the increased map size and other due to the different background I use. So I been running a Thursday night game using my Majestic Wilderlands rules. The group is currently based in Viridistan, the largest city in my campaign. They are stomping around the region, which prompted me to make a regional map. Note that it is the most densely populated areas of the Wilderlands hence the extensive amount of cropland. Which is marked as a textured yellow brown fill. Each small hex is 2.5 miles or 1 league, the distance a person can walk in an hour. Each large hex is 5 leagues. For comparison a ship with sails can travel 12 of the large hexes in 24 hours or 2 per four hours. To me the Old School Renaissance is not about playing a particular set of rules in a particular way, the dungeon crawl. It is about going back to the roots of our hobby and seeing what we could do differently. What avenues were not explored because of the commercial and personal interests of the game designers of the time. A game where the players play individual characters interacting with a setting with their actions adjudicated by a human referee. Rules are an aide to help the referee adjudicate actions and to help the players interact with the setting. Dice are used to inject uncertainty which make a tabletop RPG campaign more interesting than "Let's Pretend". The only thing a player needs to do to roleplay a character is to act if he or she was really there in the setting in that situation. 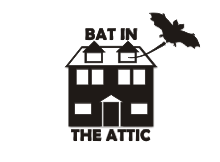 What is a Bat in the Attic?